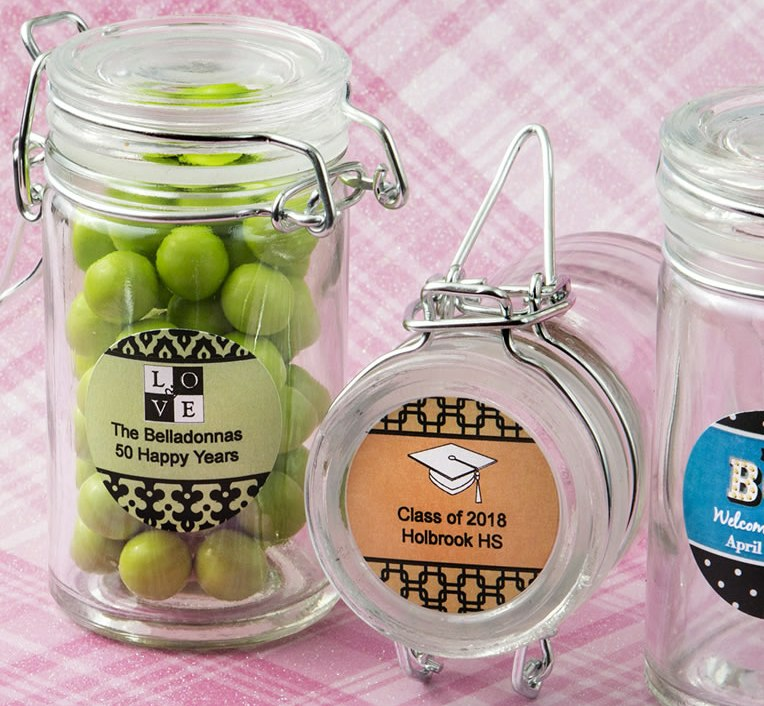 These tall personalized candy jars make great favors for graduations, anniversaries, birthdays and more. Measuring 3 1/4" tall x 1 3/4" round, each cylindrical shape jar has a 3.5 ounce capacity. Jars are also manufactured from glass with hinged glass top and a silver air tight locking gasket designed to keep contents fresh. Your customized labels come in sets of 35 on a sheet sized 8.5" x 11". Place the label on either the side or top of the jar. This gift complimented the table setting we had at the brunch. With mason jars holding the flowers on the table. 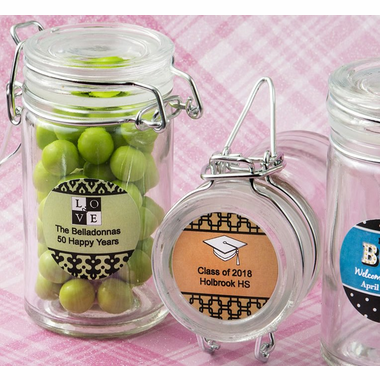 Each guest received their own jar with a sticker say Stay in Touch....Everyone loved them.